Bath is one of the most popular side excursions from London. 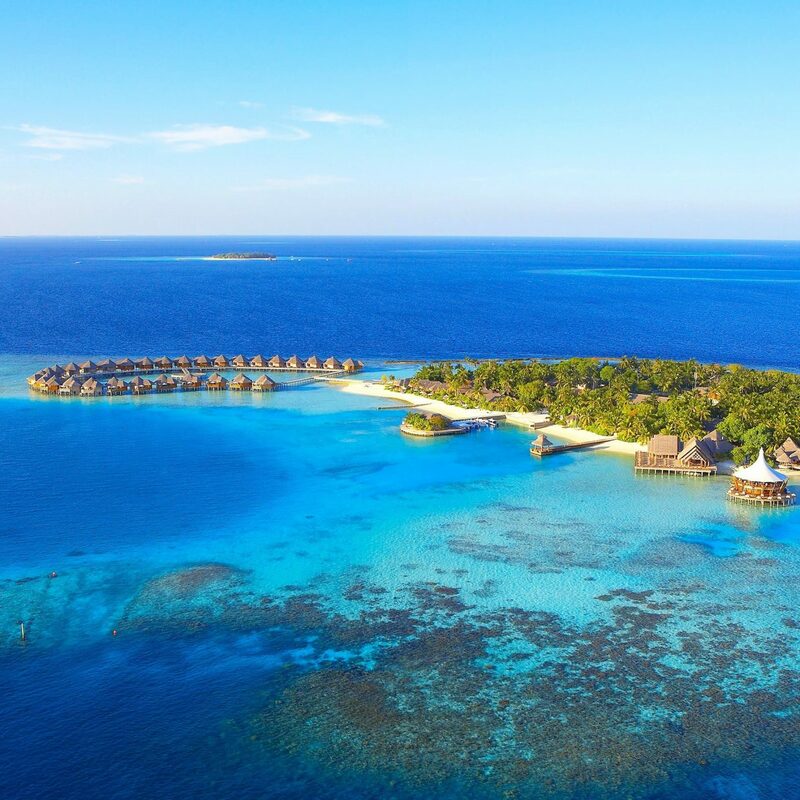 But with a route that takes in Roman ruins, prehistoric standing stones and several royal residences, the 115-mile journey doesn’t have to be merely a trip from A to B. 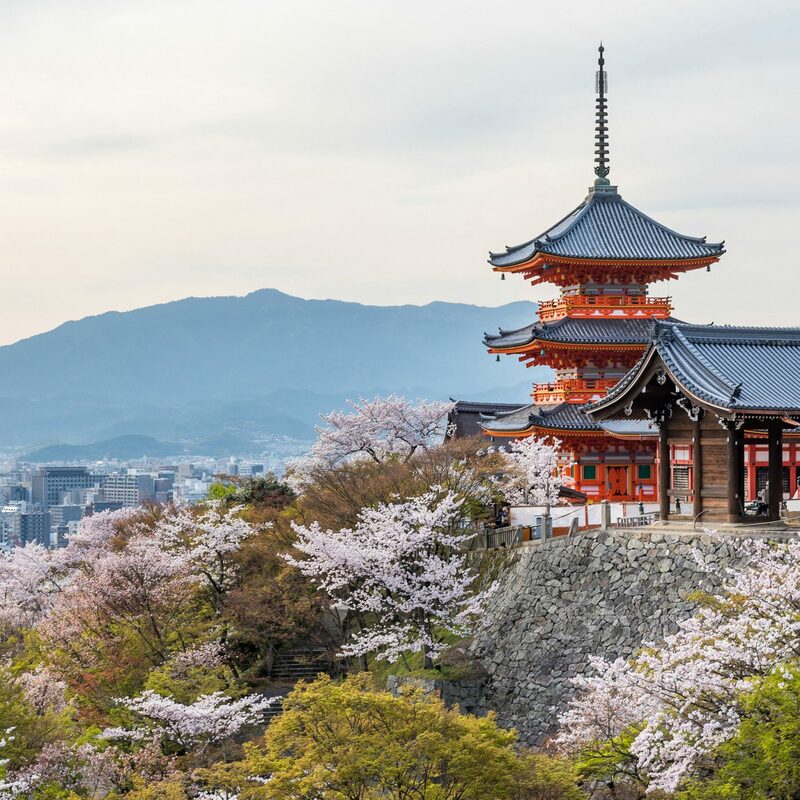 We recommend making a road trip out of it, spreading the journey out over a few days so that you can fully soak in the culture and history at the following stops along the way. Located within Kew Gardens in Richmond, 30 minutes west of central London, this doll’s house of a royal palace is Britain’s smallest. A 17th-century Flemish merchant constructed the red-brick, gable-fronted building. It was later purchased by George II, who would spend extended periods there while recuperating from outbreaks of a chronic illness, and used as a royal residence until Queen Charlotte’s death in 1818. Explore the Royal Kitchens, just as they were left in 1818; the princesses’ bedrooms; and Queen Charlotte’s rustic cottage. 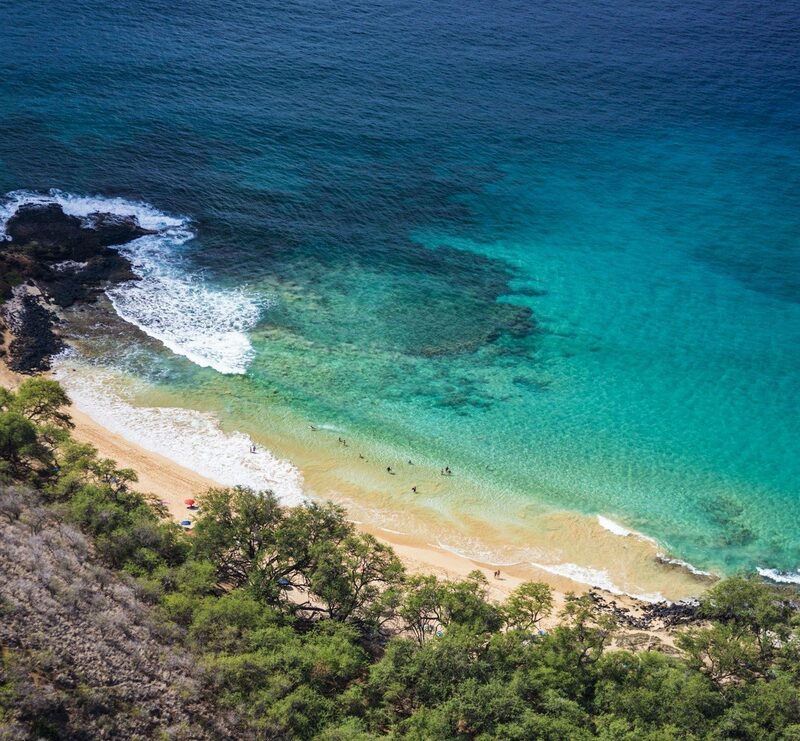 Make time to explore the botanical gardens and glasshouses, home to more than 30,000 different kinds of plants. 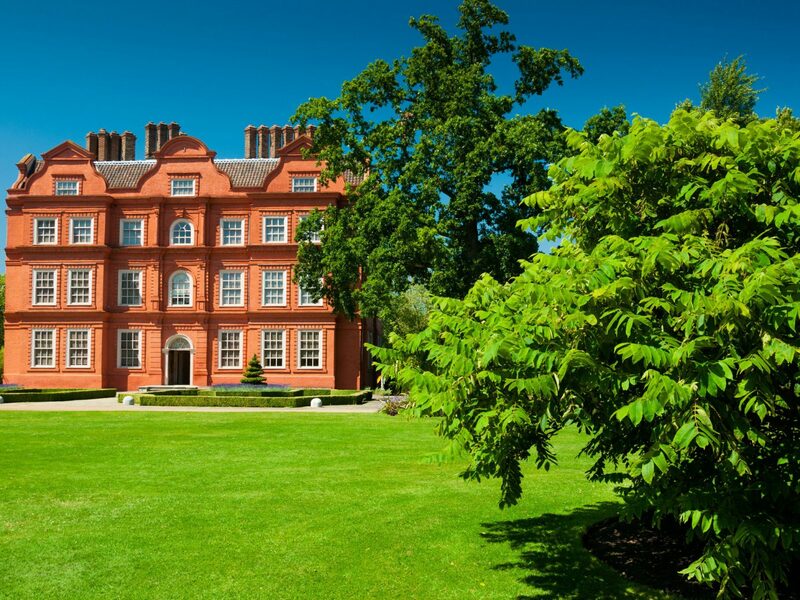 Before leaving the town of Richmond, admire the scenery of this Royal-favored retreat, preferably while enjoying a pint of ale at the Thames-side White Cross. 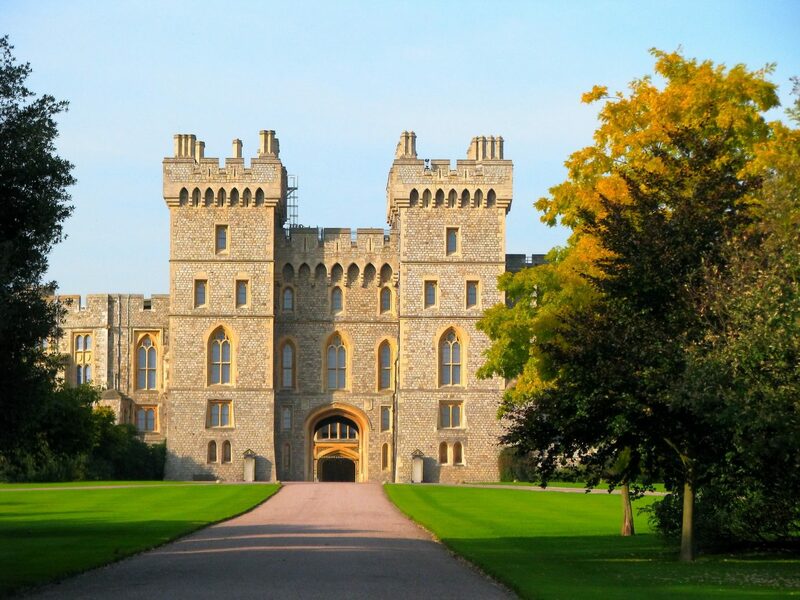 Head another 30 minutes west to Windsor Castle, royal residence for more than 1,000 years and a favored weekend spot for the Queen even today. 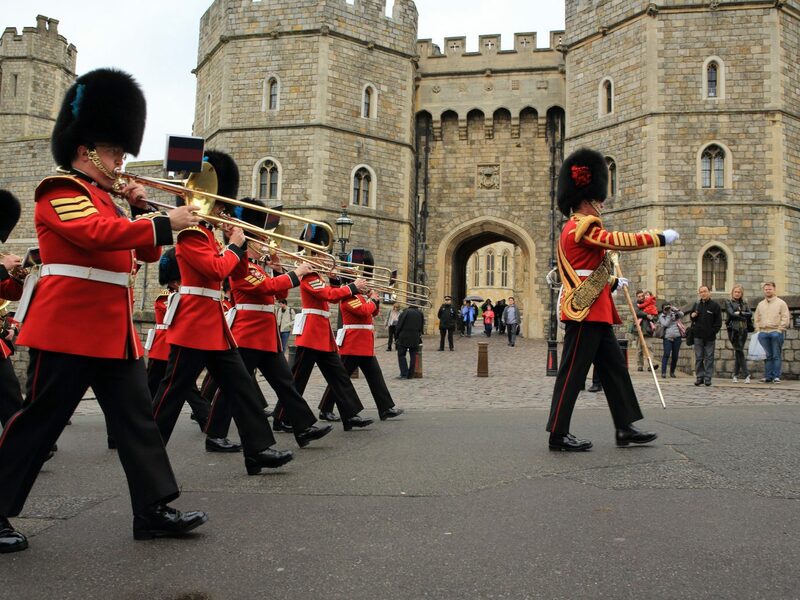 If you arrive before 11 a.m., don’t miss the Changing of the Guard, a colorful spectacle of British pageantry. 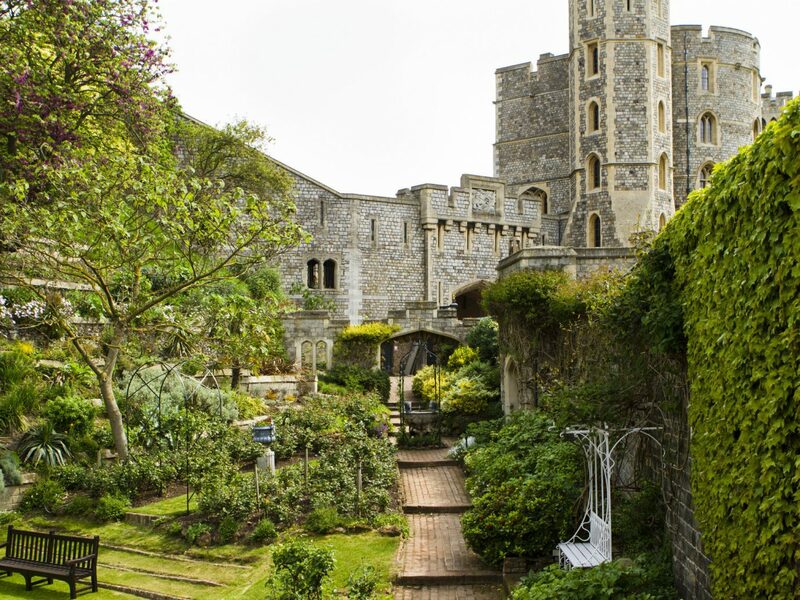 Give yourself plenty of time to explore the 13-acre grounds of Windsor Castle, which is the largest occupied castle in the world. Admire the fine Gothic architecture of St. George’s Chapel, home to the tombs of Henry VIII and Charles I, and the whimsical Queen Mary’s Dolls’ House. Art lovers should make time for the State Apartments, which contain masterpieces from the Royal Collection by Rembrandt, Rubens and Canaletto. Make dinner reservations well in advance for nearby, three-Michelin-starred, modern British restaurant The Fat Duck. 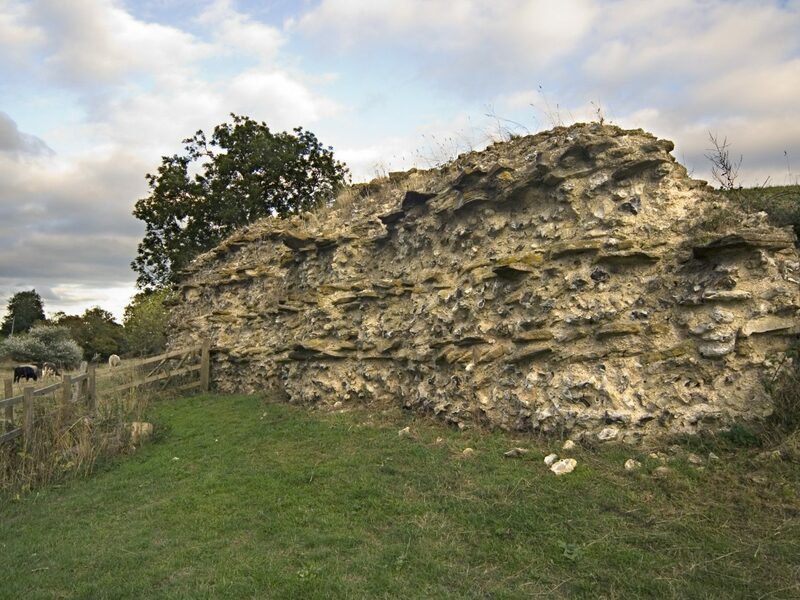 The village of Silchester, 30 minutes west, is home to the remains of Calleva Atrebatum, a town founded during the Iron Age. 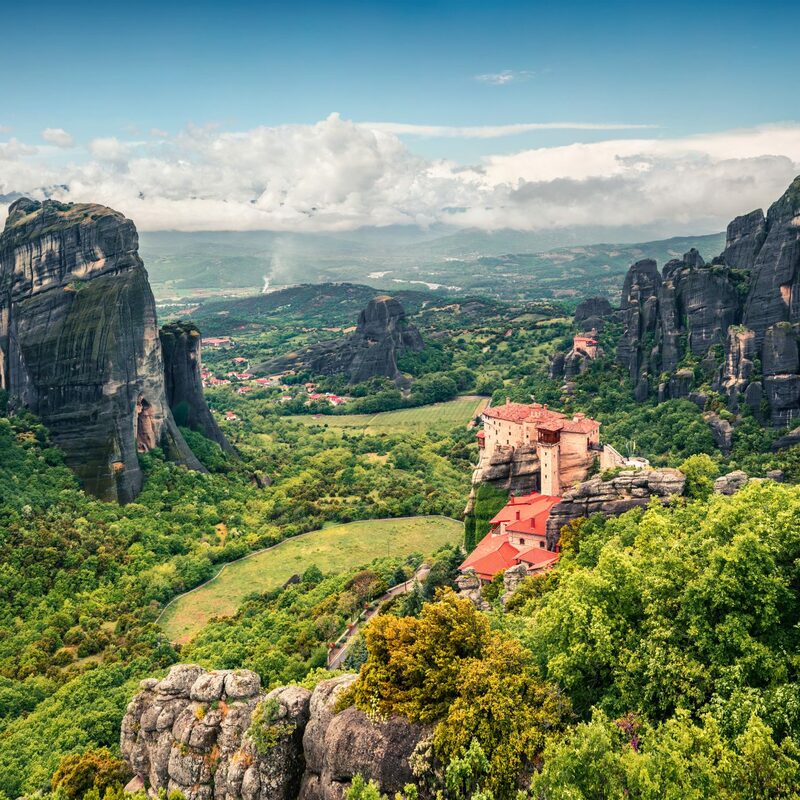 First occupied by the Romans around A.D. 43, the area was mysteriously abandoned in the sixth or seventh century. 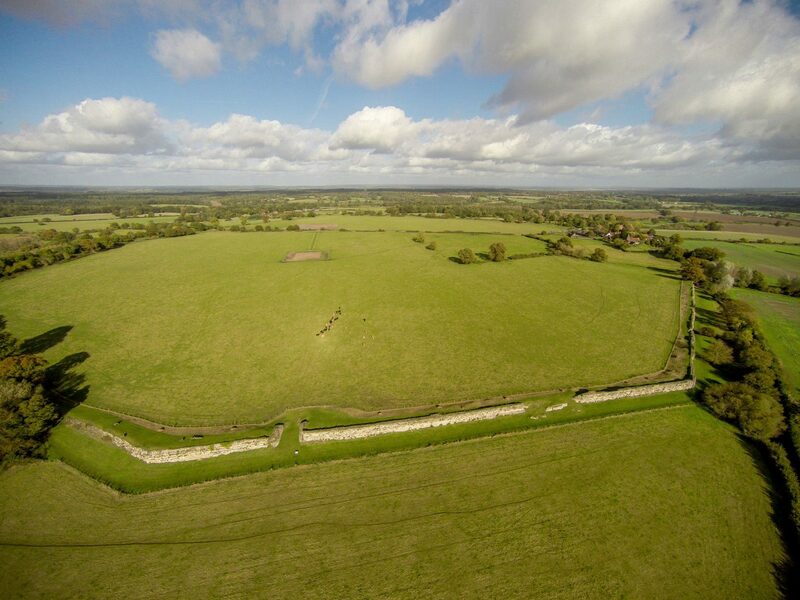 Take a stroll around the complete circuit of Roman walls, one of the best-preserved examples of Roman defenses in Britain. Head just outside of the walled town to the remains of an amphitheater, added around A.D. 70 or 80, and let your imagination wander back to ancient days when it was an important Roman city filled with government buildings, temples and shops. Head an hour west to another significant site in English cultural history. 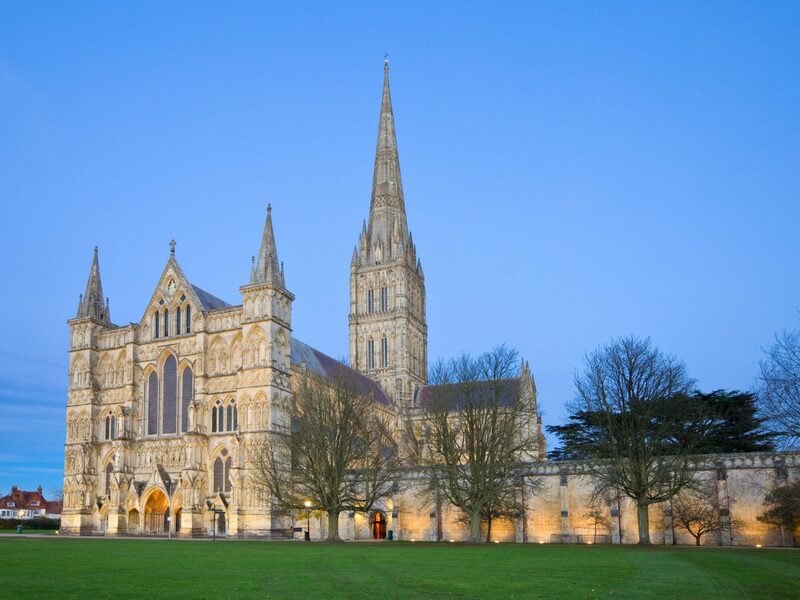 Salisbury Cathedral is home to the best preserved of the four original copies of the Magna Carta, the great charter of liberties granted by King John (under duress) in 1215. 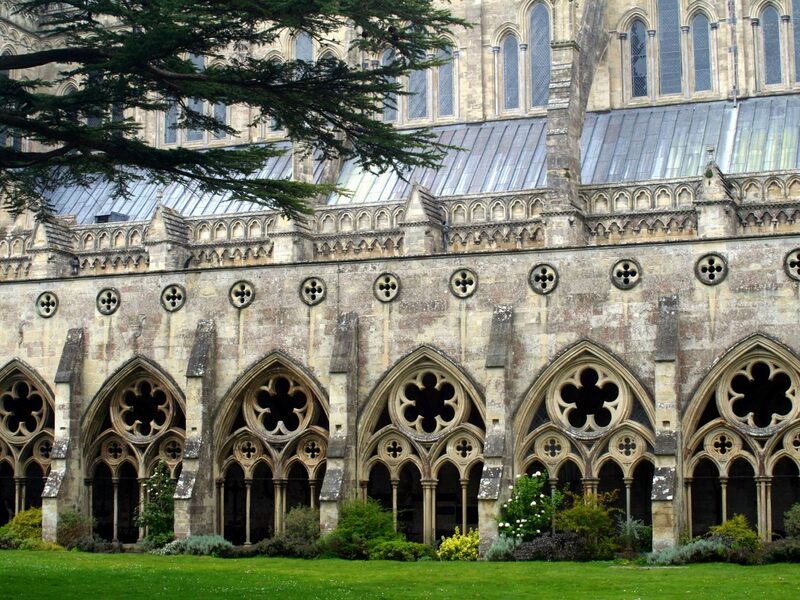 Take a tour of this early English Gothic cathedral and climb a winding staircase to see the interior of its soaring spire, the tallest in the country. Then head out onto the balcony for views over the city of Salisbury, the Iron Age hill fort of Old Sarum, and the surrounding countryside. In contrast to the medieval architecture of the 750-year-old cathedral, contemporary public art is on display throughout the grounds courtesy of a rotating program of exhibitions. Travel even deeper into history at the mysterious standing stones of Stonehenge, 20 minutes from Salisbury. 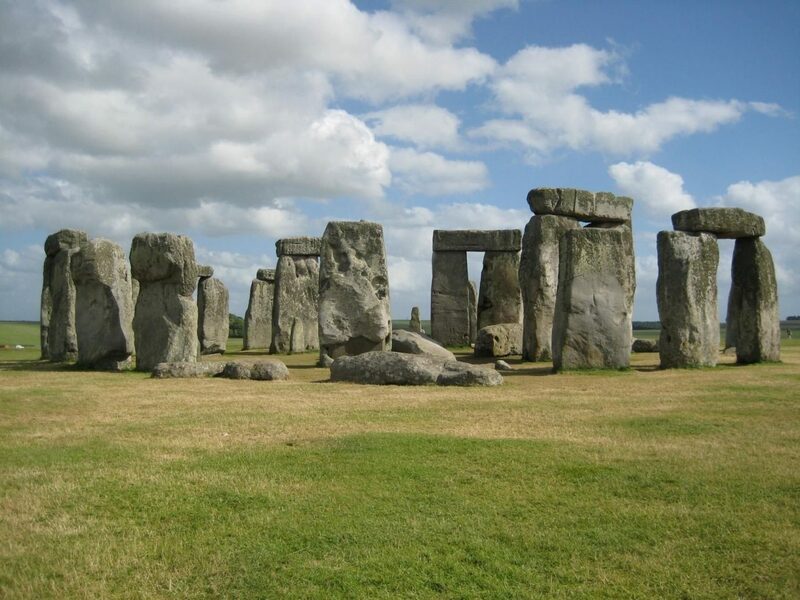 One of Britain’s most famous landmarks, the significance of this 3,000-year-old circle of towering stones remains unclear. Try to solve the puzzle for yourself as you stroll around the stone circle — or simply appreciate the site as a masterpiece of engineering. Get a sense of how people lived 4,500 years ago by visiting the site’s replica Neolithic houses and admire prehistoric artifacts in the visitor center. The Churchill Arms, 15 minutes north in West Lavington, serves home-cooked meals and real cask ales as well as a locally renowned Sunday carvery. It’s a 50-minute drive to the city of Bath and its famed bath complex. 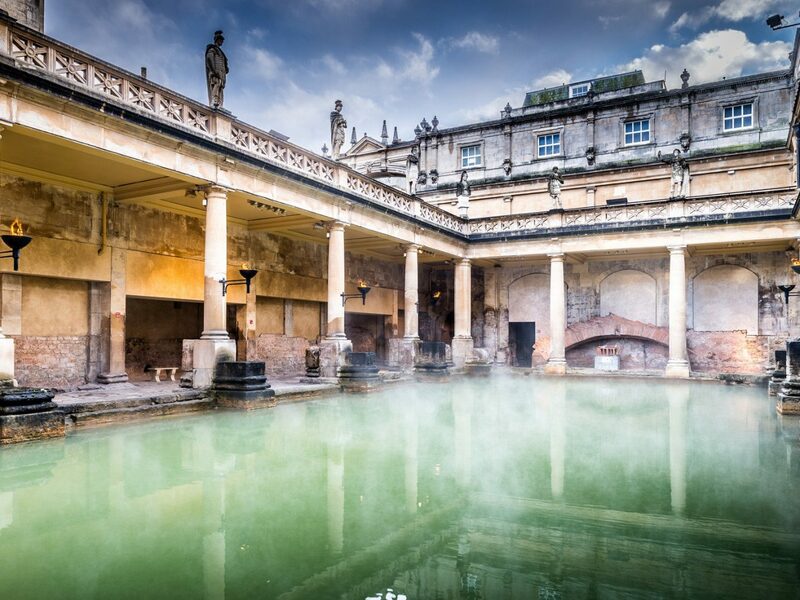 Around 2,000 years ago the Romans tapped into the city’s naturally occurring hot springs and constructed an immense public bathing complex in which to soak up those healing waters. The baths were later adapted by the well-to-do of 18th-century Georgian society. Explore the well-preserved bathhouse, the temple courtyard and the museum’s collection of Roman coins, masks and “curse tablets” on which bathers would write their grievances concerning the theft of such items as bathing tunics and invoke curses upon the culprits. 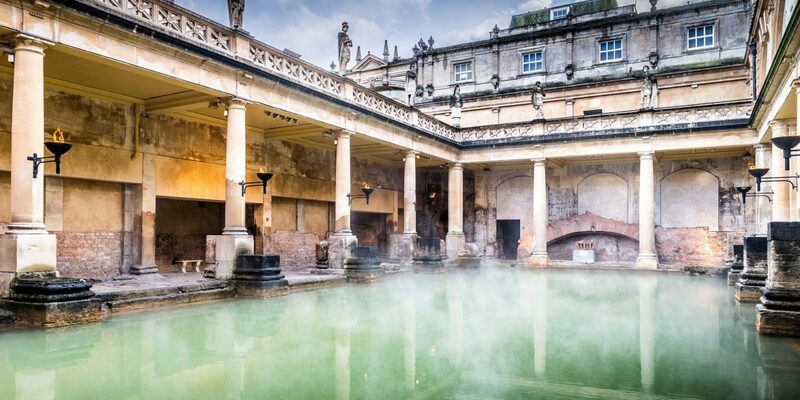 Bathing is no longer permitted in the steamy waters, so have a soak in the nearby Thermae Bath Spa instead. Afterward, head for The Pump Room, next to the Roman Baths, for an indulgent afternoon tea of scones, macarons, cake and dainty sandwiches.